That’s why Vitality Living College is running a free Emotional Well-being Seminar with Emotional Freedom Techniques in Delhi. What would your life be like if you felt free from your emotional hooks and woke up in the morning excited and able to handle any situation with an attitude that easily lets go of upsets, unwanted cravings and pain, creating a positive outlook, energy and vitality. How to use EFT on yourself as part of a daily Emotional Well-being and stress relief program. The free seminars are highly interactive with live demonstrations, healing processes and therapeutic stories to learn emotional wellbeing. You will leave being able to use the techniques on yourself as part of your daily life. It is a popular technique used by celebrities, athletes, executives, housewives, professionals, doctors, healers, coaches, trainers and consultants. The seminar is ideal for professionals, executives, house wives, teachers, healers, therapists, parents, artists, spiritual seekers, personal development enthusiasts, coaches, consultants, trainers, doctors, nurses, business owners, entrepreneurs and students. Dr Shilpa Gupta is an ENT Surgeon who has diversified her profession to Parenting. She is a ‘Parenting Coach’ with a passion for ‘Parenting’ and creating happy families. For the past 7 years she has trained more than 2000 parents, 500 caretakers and 400 teachers who have attended her workshops and benefitted from the skills. Dr Shilpa Gupta has conducted training programs and workshops for various corporate groups like GMR, Bharat Petroleum and NGO’s like SOS Children’s Villages. She is the Associate Director of Centre for Child and Adolescent Wellbeing (CCAW), an multi speciality Institute for Child Mental Health, New Delhi and Delhi Area training Director for Love Humanity International. Vitality Living College is the only Trainer of Trainers in India.If you are already a healer, coach, therapist or trainer, EFT is a great compliment to these techniques and we have already trained thousands of people world-wide. We train EFT Practitioners as well as Trainers to International standards making your qualifications relevant anywhere in the world. Watch what Father LEO had to say about learning EFT. 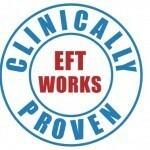 Watch, read and experience what other people has to say about EFT training with Vitality Living College. Contact us via e-mail india@vitalitylivingcollege.info, Phone +919920454749 or SMS +919820974625 to register and confirm your seat.